Harley Davidson Twin Cam engine cam chain tensioners. Are you looking to have your cam chain tensioner shoes replaced or upgraded for 2006 Twin Cam models (2005 Dyna) and older? We have you covered! The shoes should be replaced every 25k miles or upgraded to the later hydraulic design which ups it to a 50k miles. 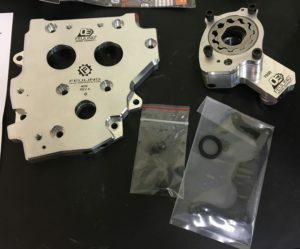 The hydraulic design upgrade requires a new billet cam plate. It also includes special high volume oil pump for the needed increase in oil pressure for the hydraulic tensioners. To save time and money we recommend using ‘quickee’ style push-rods. These are special push-rods and tubes to allow cam servicing without removing the fuel tank and rocker covers. Next Post: Has your Harley 6-speed transmission seen better days? 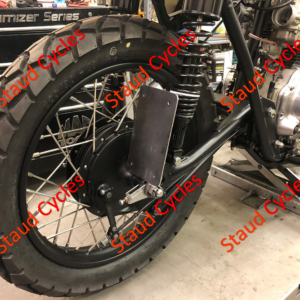 Copyright (c) 2009-2018 Staud Cycles LLC. All rights reserved. Design by Staud Cycles LLC.